Today I'm sharing a cute sewing tutorial from Rebecca, who blogs at Hugs are Fun. 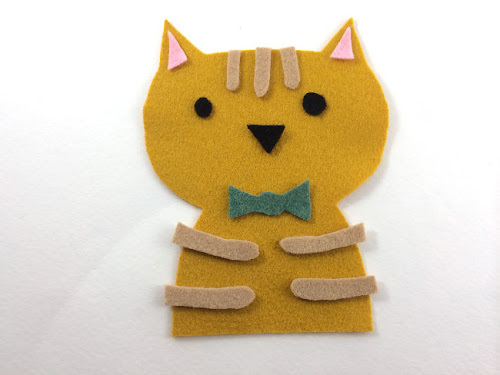 Wool felt - I used mustard yellow and tan for the cat, but feel free to customize to match your own furry friend! 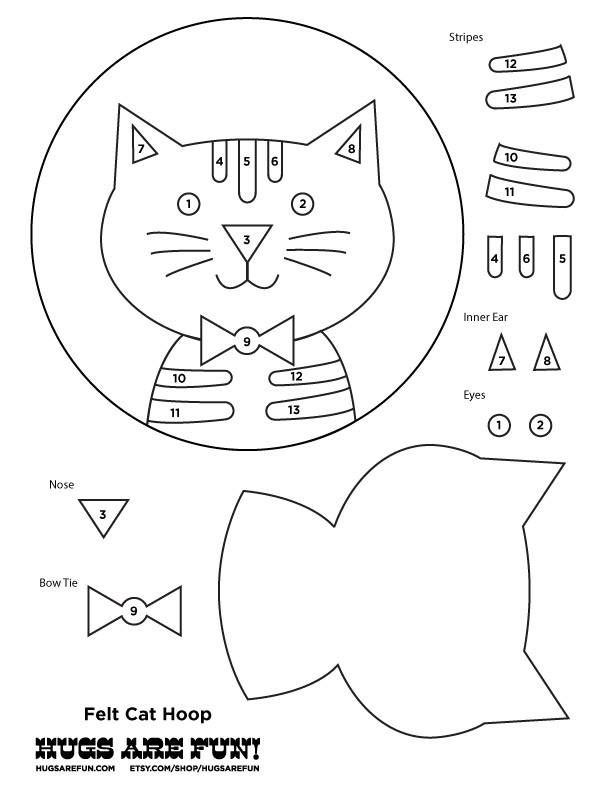 Print out the template and cut out all the pieces. 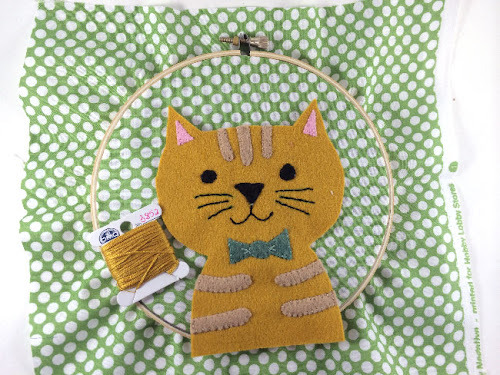 Stitch each piece in place with a whip stitch around the edge, using three strands of embroidery floss. 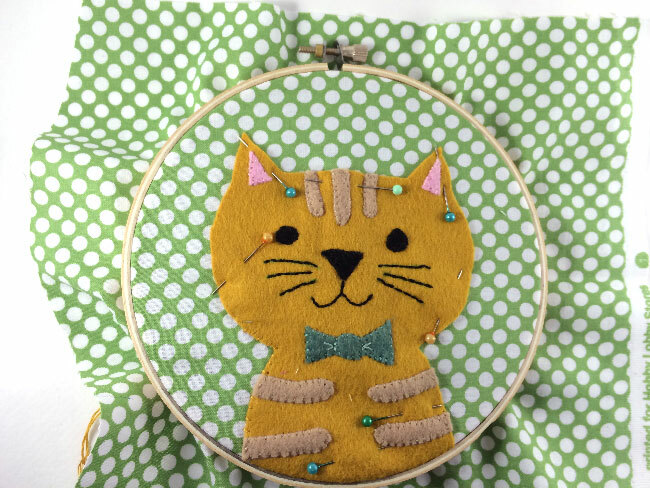 Using a backstitch, stitch whiskers and a mouth. 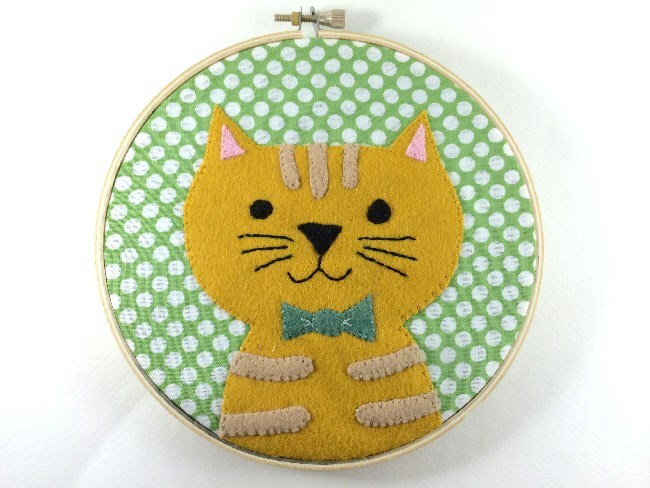 Tighten the fabric onto the hoop and position your cat onto the fabric. I found it easier to pin the cat so it didn't shift, but it's not absolutely necessary. Trim away the excess fabric, trimming the fabric as close to the edge of the hoop as possible. 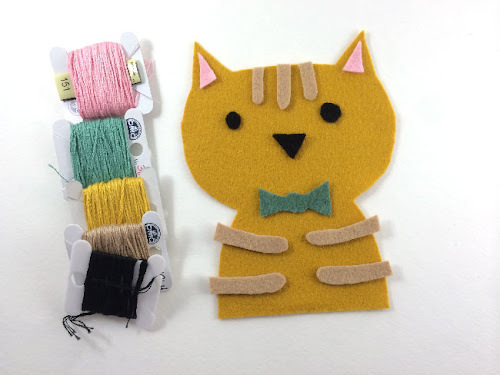 You can cut a circle of felt to glue to the hoop, but this also isn't absolutely necessary. 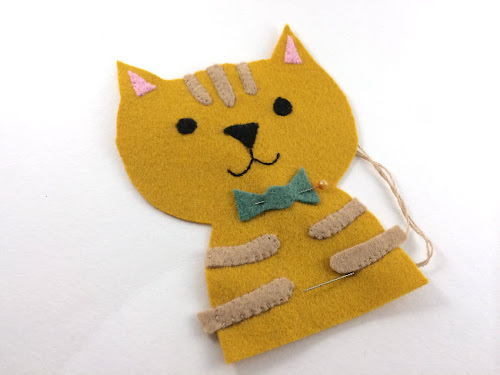 Add a ribbon for hanging or just hang the hoop directly on the wall. Click here to view the template sheet full size and print at 100%. 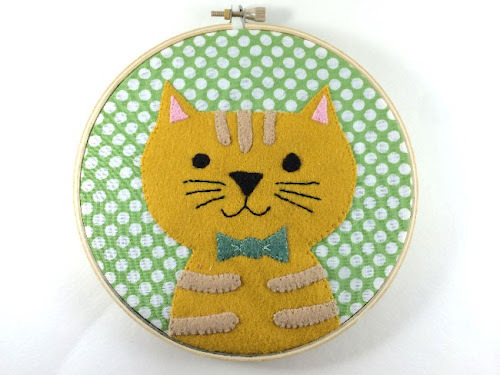 Rebecca blogs at www.hugsarefun.com about her cross stitching and other craft exploits. She is the mom of two young girls and has a background in illustration and design. Want more free tutorials? Subscribe to my newsletter for a monthly free pattern and visit my crafty tutorial archive for lots more free projects. This is just so precious! I love it!!! Thanks for the tutorial!